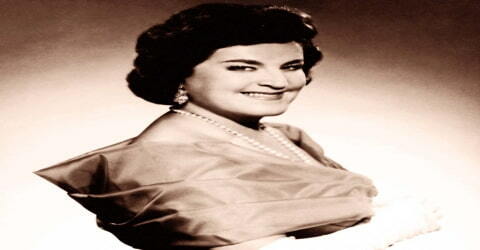 Birgit Nilsson – Swedish dramatic soprano. A Swedish operatic soprano, celebrated as a Wagnerian interpreter and known for her powerful, rich voice, Birgit Nilsson was born on May 17, 1918, in Västra Karup, Sweden, on a farm at Västra Karup in Skåne (100 km/60 miles north of Malmö) to Nils Svensson and Justina Svensson (née Paulsson). Although she sang a wide repertory of operatic and vocal works, Nilsson was best known for her performances in the operas of Richard Wagner and Richard Strauss. Her voice was noted for its overwhelming force, bountiful reserves of power, and the gleaming brilliance and clarity in the upper register. Nilsson also sang the operas of many other composers, including Verdi, Strauss, and Puccini but it was her renditions of Wagner’s compositions that earned her legendary status in operatic history. She possessed a steady and powerful soprano voice, and tremendous clarity in the upper register, holding high notes seemingly forever. She inherited her musical talents from her mother, an amateur singer. She began singing when she was a toddler, even before she learned to walk. She sang in the church choir as a young girl, and her choirmaster recognized her potential and advised her to take voice lessons. She went on to study at the Royal Academy of Music in Stockholm on a prestigious scholarship and made her debut in the Royal Opera in Stockholm in 1946. She soon found a mentor in the acclaimed German conductor, Fritz Busch, under whose tutelage she emerged as a successful soprano. An astute businesswoman, she managed her own career and became one of the highest-paid singers in the field. After a long and glorious career, she retired from singing and returned to her childhood home. 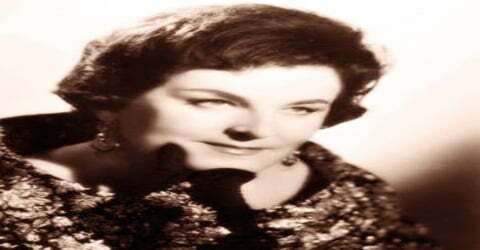 Birgit Nilsson, née Märta Birgit Svensson, was born on17 May 1918, in Västra Karup in Skåne, to Nils Svensson and Justina Svensson. Her father was a farmer and her mother was an amateur singer. When she was three years old she began picking out melodies on a toy piano her mother bought for her. She once told an interviewer that she could sing before she could walk, adding, “I even sang in my dreams”. Her vocal talent was first noticed when she began to sing in her church choir. A choirmaster near her home heard her sing and advised her to take voice lessons. Märta Birgit Svensson combined her middle name with Nilsson to form her new stage name. She did not, however, enjoy her education at the academy. On the advice of a local choirmaster, Nilsson went to study with Joseph Hislop in Stockholm, where she joined the Royal Opera and made her debut in 1946 as Agathe in Carl Maria von Weber’s Der Freischütz. A year later she achieved a major success there as Giuseppe Verdi’s Lady Macbeth. Other successes followed, particularly in Vienna and Bayreuth, where between 1954 and 1970 her Wagnerian roles included Isolde, Sieglinde, and Brünnhilde. Birgit Nilsson married veterinary surgeon Bertil Niklasson in 1948. They had no children. 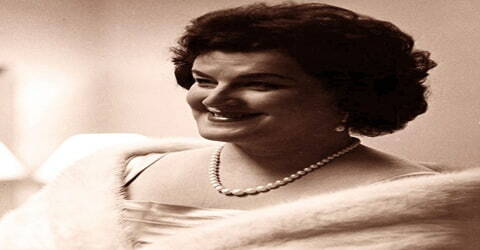 Despite her worldwide recognition, Birgit Nilsson said she was nervous before every major performance. “Before a premiere, on the way to the opera, I’d hope for just a small, small accident, it didn’t need to be much, but just so I would not have to sing”, she said in a 1977 interview on Swedish TV. Nilsson often spoke of her limits. She said her voice was not a good fit with what she described as the softer textures and refined tones of Italian operas. Nonetheless, she sang roles in Italianate operas such as Donna Anna in Don Giovanni. 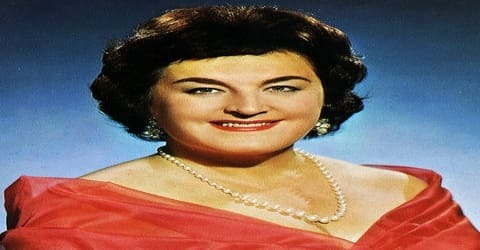 In 1946, Birgit Nilsson made her debut at the Royal Opera in Stockholm with only three days’ notice, replacing the ailing Agathe in Carl Maria von Weber’s Der Freischütz. Conductor Leo Blech wasn’t very kind to her and, as she wrote in her autobiography, she even contemplated suicide after the performance. In 1947 she claimed national attention as Verdi’s Lady Macbeth under Fritz Busch. A wealth of parts followed, from Strauss and Verdi to Wagner, Puccini, and Tchaikovsky. In 1949 she sang Ariadne auf Naxos with Hjördis Schymberg and Elisabeth Söderström among others. Before long Nilsson became very popular in Stockholm and performed in a series of roles in the lyric-dramatic field, including Donna Anna, Aida, Lisa, Tosca, Venus, Sieglinde, Senta, and the Marschallin. She also sang Ariadne auf Naxos with Hjördis Schymberg and Elisabeth Söderström. Busch helped her in securing her first important engagement outside Sweden. She made her international debut performing in Mozart’s ‘Idomeneo’ as Elettra at the Glyndebourne Festival in 1951 in Britain. In 1952, Nilsson sang Donna Anna in Don Giovanni at Florence. Her first important appearances in Wagner operas came in 1953 at Stockholm where she sang Elisabeth in Tannhäuser and Isolde for the first time. This marked the start of the most important Wagnerian career of the second half of the 20th century. The following year she made her Bayreuth debut as Elsa in Lohengrin and in the same season sang Ortlinde in Die Walküre. She later appeared there as Isolde and as Brunnhilde. It was in Munich during the 1954-1955 season that she first sang Brunnhilde in Wagner’s Der Ring des Nibelungen and during the same season she sang her first Salome. Her other significant roles in the 1950s include Elsa in Wagner’s ‘Lohengrin’ (1954) and Brünnhilde at the Bavarian State Opera (1954). In 1957 Nilsson made her debut at Covent Garden in London as Brünnhilde in the complete Ring cycle of Richard Wagner, and in 1958 she first appeared at Milan’s La Scala in the title role of Giacomo Puccini’s Turandot. She made her debut at the Metropolitan Opera in New York City as Isolde in 1959. Her other significant roles included Richard Strauss’s Salome and Elektra, Ludwig van Beethoven’s Leonore, and Carl Maria von Weber’s Rieza. Nilsson took the title role of Turandot, which is brief but requires an unusually big sound, to La Scala in Milan in 1958, and then to the rest of Italy. Nilsson made her American debut as Brünnhilde in Wagner’s Die Walküre in 1956 with the San Francisco Opera. She attained international stardom after a performance as Isolde at the Metropolitan Opera in New York City in 1959, which made front-page news. She said that the single biggest event in her life was being asked to perform at the opening of the 180th season at La Scala as Turandot in 1958. She performed at many major opera houses in the world including Vienna, Berlin, the Royal Opera House at Covent Garden, Tokyo, Paris, Buenos Aires, Chicago, and Hamburg. She sang with the Sydney Symphony Orchestra in the all-Wagner concert that opened the Concert Hall of the Sydney Opera House in 1973. By the 1960s Nilsson had earned the reputation of being the leading Wagnerian soprano of her time, particularly as Brünnhilde. She was also popular for singing other famous soprano roles, among them Leonore, Aida, Turandot, Tosca, Elektra, and Salome. Her successful career continued throughout the 1970s. 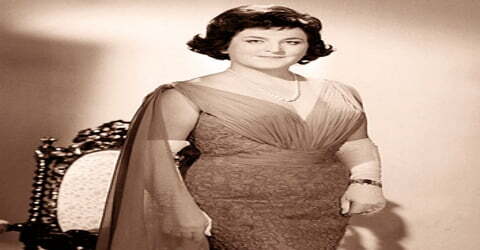 She remained a major performer in Europe through a tax battle with the U.S. Internal Revenue Service kept her from performing in the United States for several years. Her autobiography, ‘Mina Minnesbilder’ (“My Memoirs in Pictures”) was published in 1977. Beginning at the summer of 1968 at the Bayreuth Festival, Nilsson was obsessively stalked by a much younger American actress and model, Nell Theobald, until Theobald’s suicide nine years later in 1977. Nilsson recounted her experiences with Theobald at length in her memoir, La Nilsson, in which she referred to Theobald solely as “Miss N.” The stalking incident was later featured in Opera News magazine and The New York Times. Because of her full schedule of opera performances, Nilsson did not sing in many concerts or recitals although early in her career she did sing the Ninth Symphony of Beethoven on several occasions, including one at Bayreuth. She did give some recitals including tours of Australia and Japan as well the major music centers of Europe and North America. Her recital programs concentrated on the German and Scandinavian songs, including some rarely heard pieces by Stenhammar. She often sang “I Could Have Danced All Night” as an encore. In 1975 Nilsson appeared in the demanding role of the Dyer’s Wife in the first performance in Stockholm of Strauss’s Die Frau ohne Schatten, which she repeated in San Francisco in 1980 and New York City in 1981. Nilsson was also famous for her ability to make money. She became one of the highest-paid singers in the field, in part because of the rarity of her skills. Being a shrewd businesswoman, she negotiated much of her own career. She never ranted or engaged in tantrums. She would begin contract talks by refusing every offer and being evasive about her availability. This tack would continue until the impresario offered something she wanted. Nilsson’s reply would be “maybe”. Now in control, she would be begged to accept what she desired in the first place. After a long and glorious career, Nilsson retired in 1984. As a performer she had appeared at the Metropolitan Opera 223 times in 16 roles, portraying Isolde 33 times and Turandot 52. She had appeared 232 times at the Vienna State Opera. Nilsson recorded all of her major roles in major commercial recordings of the complete works, as well as about a dozen solo recitals of arias, art songs, concerts, and hymns all, were originally released on vinyl LP format and most have been reissued on CD or in digital format. Partly because of her availability to play Brünnhilde, Decca Records undertook the expensive project of making a studio recording of Wagner’s four-opera Ring Cycle, conducted by Solti and produced by John Culshaw. The effort took seven years, from 1958 to 1965. A film of the proceedings made her a familiar image for arts-conscious television viewers. Nilsson’s autobiography, Mina minnesbilder (My memoirs in pictures) was published in Stockholm in 1977. In 1996, at the age of 77, Nilsson appeared once again on the Metropolitan Opera stage for a gala honoring its longtime music director, James Levine, and spoke warmly of him before ending with a signature “ho-yo-to-ho,” Brünnhilde’s famous battle cry from Die Walküre. Nilsson later established a foundation, and in 2009 it awarded the first Birgit Nilsson Prize for outstanding achievement in classical music. The $1 million prizes were given to Plácido Domingo. In 1969 the Austrian government gave Birgit Nilsson the honorary title of Kammersängerin (“court singer”), and in 1981 the Swedish government issued a postage stamp in her honor. In 1981, Birgit Nilsson received the Illis Quorum gold medal, which is today the highest award that can be conferred upon a Swedish citizen by the Government of Sweden. The same year, she also received the Gold medal of the Royal Opera Stockholm. Birgit Nilsson was made Commandeur des Arts et des Lettres, France, in 1991. The Award of the Sweden-America Foundation was bestowed upon her in 1994 in New York City. 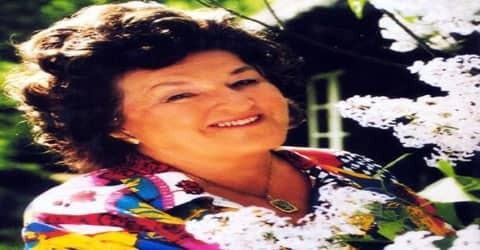 Birgit Nilsson died aged 87, on 25 December 2005 at her home at Bjärlöv, a small village near Kristianstad in Skåne in the same county where she was born. No cause of death was released. She is survived by her husband, Bertil Niklasson and the couple had no children. Birgit Nilsson was best known for playing the role of Brünnhilde, the main character in Richard Wagner’s opera cycle ‘Der Ring des Nibelungen’. As the leading Wagnerian soprano of her time, she was acclaimed for singing the role which required the soprano to possess high stamina and breath control. Another one of her prominent roles was that of Isolde in Wagner’s ‘Tristan und Isolde’. Based largely on the romance by Gottfried von Strassburg, the music drama in three acts was enormously influential among Western classical composers. Playing the role of Isolde at the Metropolitan Opera in New York City led to Nilsson’s international stardom. 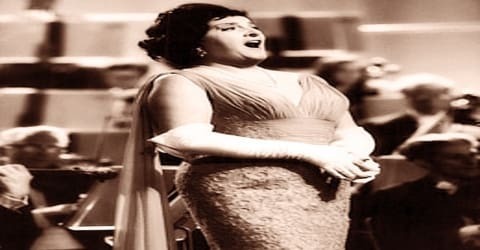 Three years after Nilsson’s death, in December 2008, the Birgit Nilsson Foundation announced that it would award a prize every two to three years to a concert or opera singer, a classical or opera conductor, or a specific production by an opera company. The prize was funded by Nilsson herself. The foundation said that Nilsson had chosen the first winner, to be announced in early 2009.